Depression: The teen years can be very troubling as it can be one of chaos for some teens even as they advance from the childhood years to the adult years. These are the years when young people are discovering who they are. They are also forming relationships and looking to belong. During that period of time, a teen’s locus of focus may be fragile and they can easily go in a depression. It can affect self-esteem which may not be so strong and these teens may be easily swayed by several factors. This include school, relationships with those their age and their home environment. Teens may have to wrestle with new challenges seeing that they are now learning to adapt to ways of handling them. Because of their fragile state,teens may take on negativity or stressful situations like pet loss, pressure from mom and dad, bullying,friend or family member dying, loss of a friendship, failing grades, not making the team, and being rejected altogether. Although these are should not to be regarded as depression there smoke screens which will convey that something much more serious is brewing. Children and teens often have problems with depression which leaves parents with many different questions including: how did it happen and what can they do for their depressed child? 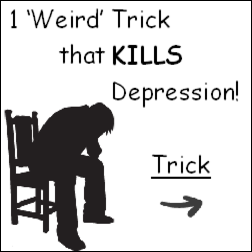 The good news is that depression is treatable and several methods have proven to be effective. Situations that people find themselves in like losing a job or losing a family member may not be the actual source of depression nevertheless, these can trigger depression in those who are fragile and fit the category for developing the condition. All of these events certainly cause each of us to be sad, allowing feelings of worthlessness which is a natural part of the grieving process. But,this doesn’t cause depression as long as these feelings are not prolonged. If the behavior a teen exhibits is stronger than it normally was in past few years, this may cause you to pause. Although being a teenager is often a time for testing boundaries, generally most teenagers don’t stray too far from their regular routine. For this reason, you may notice erratic behavior or even a totally different range of behavior from your child and it would not hurt to look into it further as it may be full blown depression.